Brittany is a registered Suzuki Harp Teacher, having completed training in all current book levels of the Suzuki Harp School. 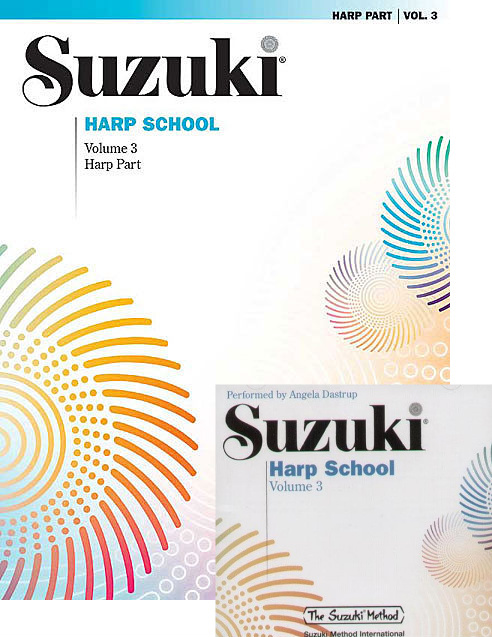 She received her Suzuki Teacher Training under Mary Kay Waddington (founder of the Suzuki method for harp), and Delaine Fedson (Butler School of Music). She enjoys passing on her love for the harp to students and watching them grow from “playing an instrument” to playing music. Throughout her experience with the Suzuki method, she feels it is one of the best ways to gain a solid foundation both musically and technically. Brittany has been teaching Suzuki harp since 2006. LOOKING FOR A HARP TEACHER? You are going to play the music of great composers, and you must try to catch their hearts in the music. You must practice every day to catch the feelings of others without words. Knowledge plus ten thousand times is skill.